SOME 2,986 village politicians in the city started campaigning yesterday for the May 14 elections. The candidates are vying for a total of 720 positions in the city’s 80 barangays and 80 Sangguniang Kabataan councils. 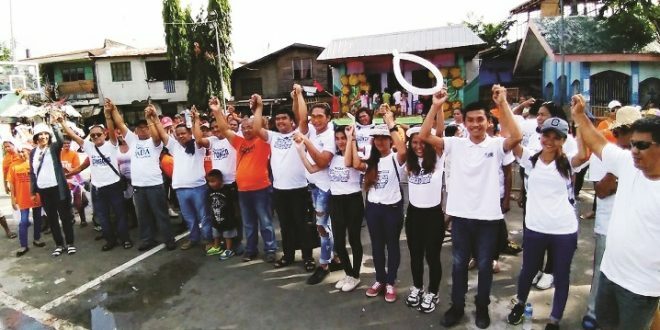 Of the 2,986 candidates, 198 are seeking to be elected or reelected as barangay chairpersons while 1,650 want to serve in the barangay councils. Data from the Commission on Elections (Comelec) show that 192 candidates are campaigning for the SK chairmanships in their barangays while 946 others are vying for seats in the various youth councils. Most of the candidates are male. For the barangay positions, male candidates (1,331) outnumber the female bets (517). In the SK elections, however, 508 candidates are female while 630 others are male. The candidates are wooing the votes of the city’s 325,528 registered voters in the barangay elections, and 109,607 registered SK voters. On May 14, voters will be trooping to the 1,950 precincts of 61 polling places in the city. As the first day of the campaign period kicked off, Comelec regional director Renato Magbutay warned candidates against violating election laws. Magbutay said the Comelec here would not hesitate to make erring candidates suffer the consequences of violations. He said candidates were already briefed by the Comelec before the start of the campaign period and they cannot invoke ignorance of election laws. Magbutay reminded them about the designated areas for their campaign materials, and about the rules on the sizes of allowable posters, streamers, and leaflets. Posters, he said, must be in designated areas and streamers are only allowed when there are political rallies. Magbutay also warned against the use of barangay halls, plants or trees, and even electric posts to display campaign materials. While the use of social media for the campaign should be a no-no. Magbutay said it would be difficult for Comelec to stop anyone from using it due to the absence of a law. He said the Comelec is closely coordinating with the National Police and the Armed Forces to maintain peace and order during this election period.